Custom smoked meats and BBQ. Award winning ribs, pulled pork, Iowa Chops, chicken, pork loin, prime rib and brisket. 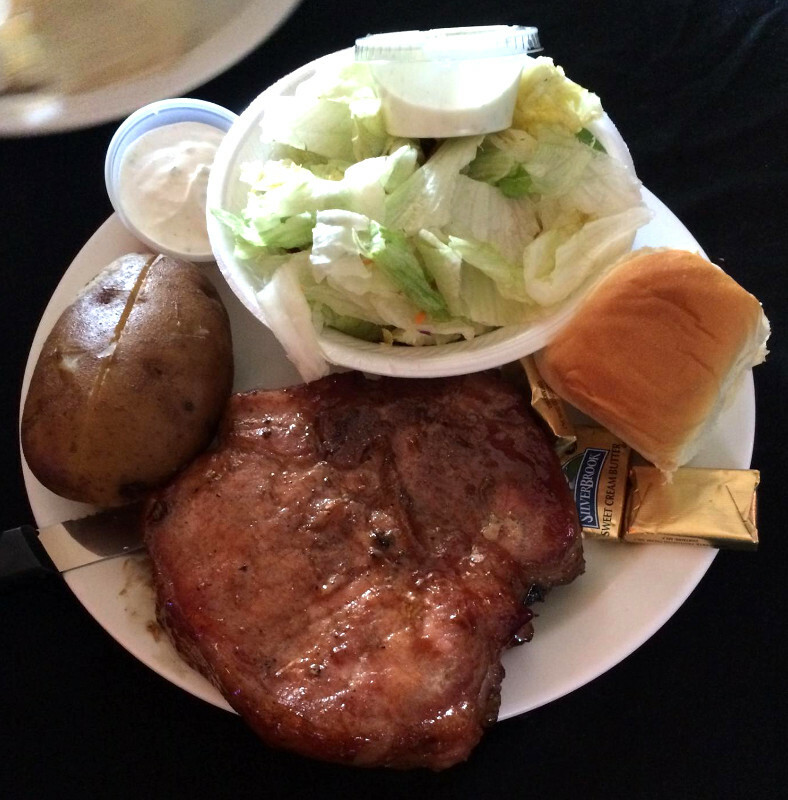 We come to your site to provide you with the freshest meats and a variety of sides. We use the best quality meats available sourced locally to support our community as much as possible. We have served every size event from 30 to 500 people, we also custom smoke for your home dining needs. Weddings, Graduations, Birthday parties… any of your special events or occasions. Years of experience specialty catering at local restaurants, fairs and festivals. Check out our calendar of events page! “It’s Just Sauce” is our original sauce that we spent several years developing to get the perfect combination of spices and ingredients. We won our first competition at The Rut Restaurant with this sauce in 2011. It’s also where we got our name and where we were born. It’s a sweet and tangy sauce that has 18 different ingredients from all over the world giving it a unique depth and flavor. It’s a perfect complement to any meat. Also eggs and pizza and Bloody Marys. We’ve won many competitions both locally and at the state level. We are in the process of developing other versions of our sauce including Spicy and Asian flavors. Rib rub – A savory, sweet and slightly spicy blend with that one flavor that you just can’t guess. Pork Loin/Chop – A combination of pepper with a dash of sweet that is a delicious addition to any pork loin or chop.